Avril Lavigne found fame relatively early. By the age of fifteen, she was already appearing on stage with Shania Twain. The singer has a loyal following from all over the world that follow her religiously despite her hiatus from the music scene in the past couple of years. Avril Lavigne’s unique style definitely makes her an intriguing personality to study and we get right into it below. Avril Lavigne was born in Belleville, Ontario, Canada on the 27th of September 1984. Her father a French-Canadian named Jean-Claude Joseph Lavigne named his daughter after the French word for April. Her mother Judith-Rosanne “Judy” Lavigne has even more diverse roots with English, Scottish, and German mixed in. The two recognized talent in their child when she was two years old after she enraptured them with a rendition of “Jesus Loves Me” while they were coming back from church. The family, including an older brother Matthew and a younger sister Michelle, moved from Belleville to Greater Napanee, Ontario when Avril Lavigne was five years old. Greater Napanee was a small town and Avril Lavigne would get into trouble in school for misbehaving, she got kicked out of class quite a bit. Luckily, her family supported her singing, going as far as turning their basement into a studio. By the time she was 14 years old, Avril would perform at country fairs where she sang songs of such greats like Dixie Chicks and Shania Twain. She also began writing songs based on her life and experiences. By the time she was 15 years old, Avril had gone from singing Shania Twain’s songs at country fairs to actually appearing on stage with Shania Twain. It was therefore only a matter of time, a year to be exact before she signed a two-album recording contract with Arista Records. The recording contract was worth more than $2 million and in 2002 it resulted in the release of her debut album called Let Go. It was the start of her skate punk persona which when matched with her impressive achievements and impact would soon make critics call her the “Pop Punk Queen”. Avril Lavigne has sold over 40 million albums since her debut and she has helped develop the genre of punk-influenced pop music for females. She is therefore considered the third-best-selling Canadian female artist to date, coming behind only Celine Dion and Shania Twain. Avril Lavigne has since taken a break from recording music, chasing after a career in feature film acting. She also went into clothing design with the launch of a clothing line called Abbey Dawn in 2008 and perfume making with the 2008 release of her first perfume called Black Star. Her first on-screen feature film was in 2006 in a film called Fast Food Nation. As the third-best-selling Canadian artiste of all time, Avril Lavigne has done pretty well for herself to the tune of over $50 million. Her contributions to music and the love of loyal fans around the world keep her rolling in the big bucks despite being absent from the music scene for a while. Avril Lavigne has been married and divorced twice. In 2006, she got married to Deryck Whibley, lead singer and guitarist for Sum 41, who she had dated for two years prior. Their marriage lasted four years before Avril filed for divorce in October 2009. The two seemed to remain friendly and even continued to work together after the divorce. Deryck Whibley would go on to produce her fourth album and the single “Alice” that she wrote for Tim Burton’s Alice in Wonderland. 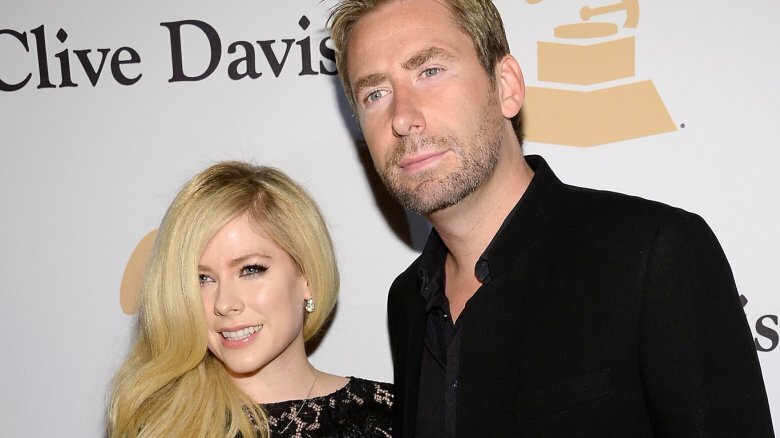 In July 2012, Avril Lavigne started dating the frontman of the Nickelback band, Chad Kroeger. They worked together writing and recording music for Avril Lavigne’s fifth album and the process seemed to make them closer as they got engaged in August 2012. Avril and Chad got married on July 1, 2013, at the Château de La Napoule in the South of France. The marriage lasted two years with Avril Lavigne announcing her separation from the Nickelback frontman on September 2, 2015, via her official Instagram account. Between her two marriages, Avril Lavigne dated Brody Jenner for two years. She started dating the reality TV personality who is known from the TV show “The Hills” and also as the stepbrother to the Kardashians in February 2010. They split up in January 2012. The singer has also dated actor Wilmer Valderrama, billionaire Justin Murdock and a guitar player in her band named Jesse Colburn.